Selling Homes Faster, for TOP Dollar, Everytime !! Get The Results You Expect ! Maximum Exposure = SOLD ! I take it much further than any other Realtor…..You home will also appear on…. Also, my very popular Virtual Tour of your home will be syndicated to many online destinations and you home will receive even more 1000s of views ! No one markets your home better than I do….No one ! Sell With James. I know what buyers are looking for..and what buyers don't want to see when looking at your home. That equates to staging your home properly so that potential buyers will fall in love with your home. Your home will appear on multiple Real Estate websites where home buyers are looking online right now, including all of my company home search websites. The bottom line is, your home will have the absolute most exposure to potential buyers. They are searching for your home right now. On your side. I will get you the highest price for your home and the most favorable terms. 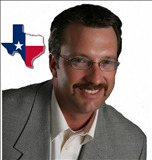 I am your personal Real Estate expert negotiator and I will fight for you.